BB-MX Racing will again be using CYKO bike cleaner for 2015 after agreeing terms with Dan from CYKO! Thanks for the support Dan! Arrival of the 2015 Honda CRF 450 for Gez. See the photo wall for his new machine! 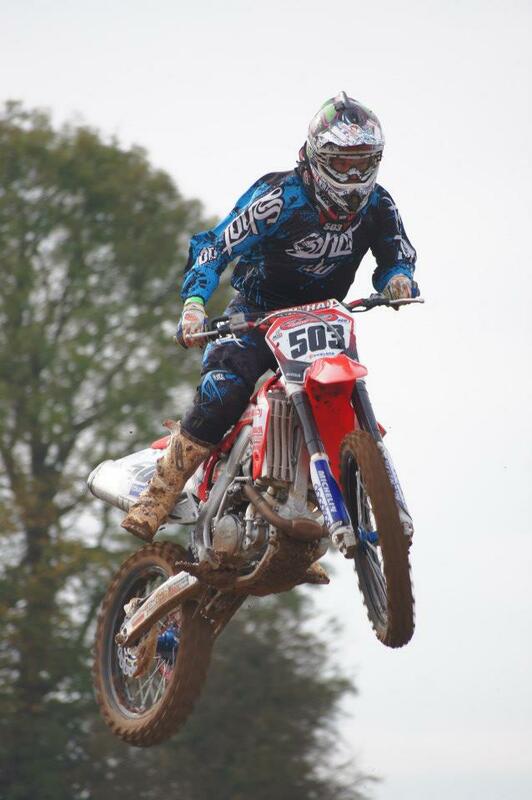 BB-MX Racing are delighted to announce the signing of AMCA Championship rider Aran Aigus to the team. We look forward to supporting Arran in his 2015 season. Welcome Aran! 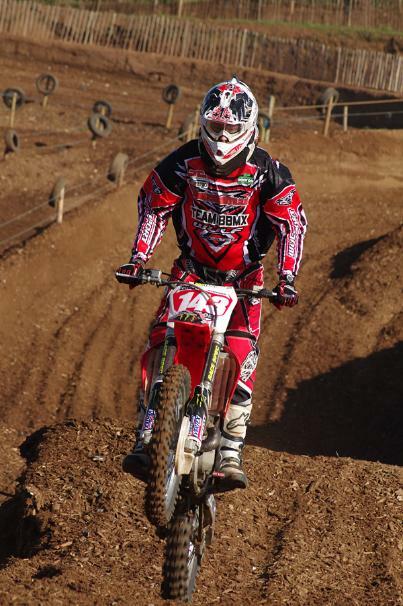 Gez Mcevoy has joined the BB-MX racing setup for 2014-2015 season by filling the vacant MX1 position. Weclome to the BB-MX family Gez. 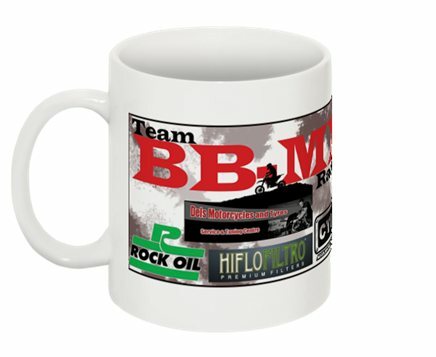 BB-MX team mugs and T-shirts are now available! Winter training is well underway! We are delighted to have Cottrell Industries supporting us again in 2014! Check out the new team graphics and banners to be used in the 2014 season! More pictures to follow! The team has some brand new and exciting sponsors for 2014. Dunlop Tyres and Cyko Bike cleaner are joining us and we are delighted to have their support for 2014! 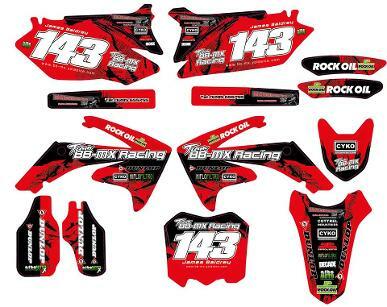 BB-MX Racing are pleased to announce that Rock Oil will continue to provide the team with their support in 2014. 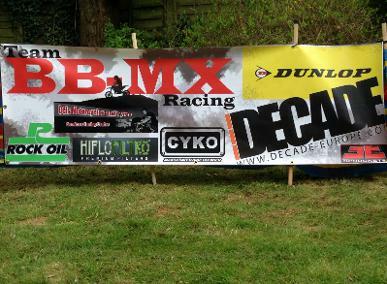 The deal was sorted at the recent Dirtbike Show and all parties are pleased to continue for a 3rd year. Jake scores 6th in the Clubman and 33rd in the 3 hour pro race on Sunday at the Skegness Beach race! Well done for a mammoth effort ! As the Wulfsport Masters finished early Jake Thompson secured 2nd overall in Pirelli MX1 class and collected his prize from Tommy Searle at the Dirtbike Show! 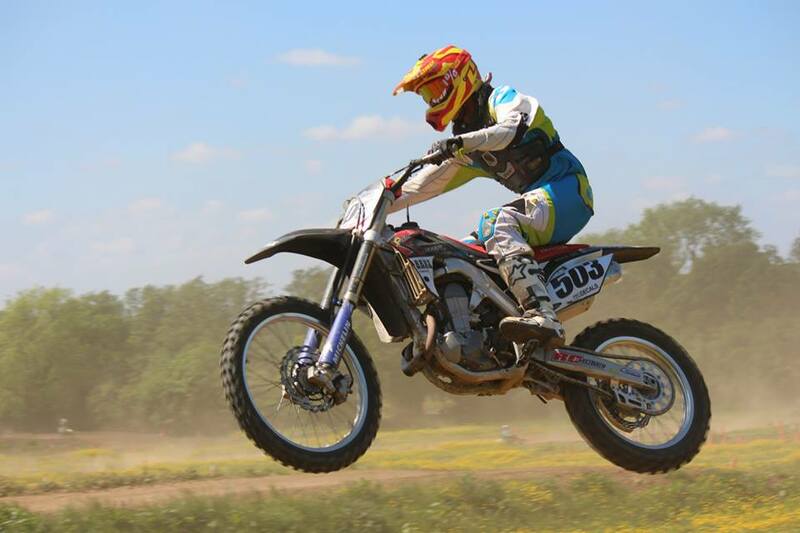 Following on from his great result at the British Masters, BBMX Honda rider Jake Thompson secured an overall 1st position in the NASG Centre AMCA meeting at Enmore last weekend! Things are really coming together for the new team rider! Keep it up! 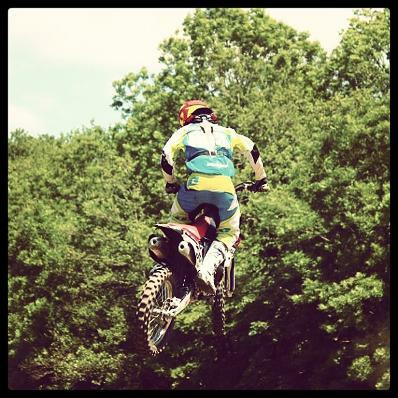 BBMX co-owner James returns to the track this weekend after months on the sidelines. Hopefully the results will start coming soon! 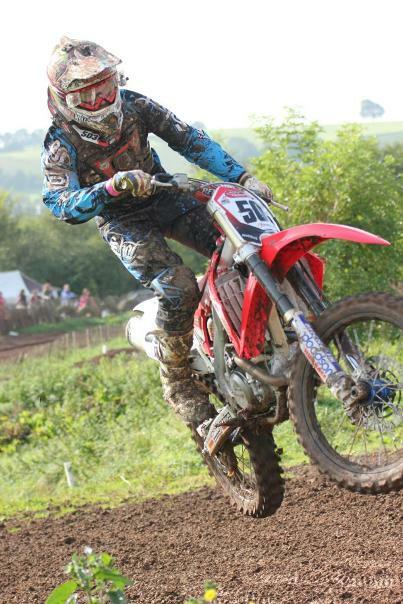 BBMX Honda rider Jake Thompson powered to a wonderful 3rd overall at the mighty Hawkstone park circuit in Shropshire recently. 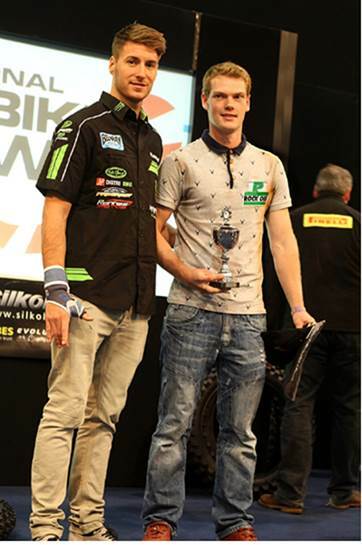 With 3-5-6-4 he collected the prize in the Pirelli MX1 class and now heads to round 5 soon! Well ridden Jake! An amazing result for Jake Thompson who rides to 4th overall at Whitby in the Wulfsport British Masters. A consistent 4-4-4-4 scorecard bumped Jake up in the championship who is now challenging for the title. At the fantastic Foxhills Motocross Park, BBMX rider Jake Thompson blasted to 5th overall in the 2nd round of the British Masters championship with a scorecard of 5-4-5-6. Next step is the podium! 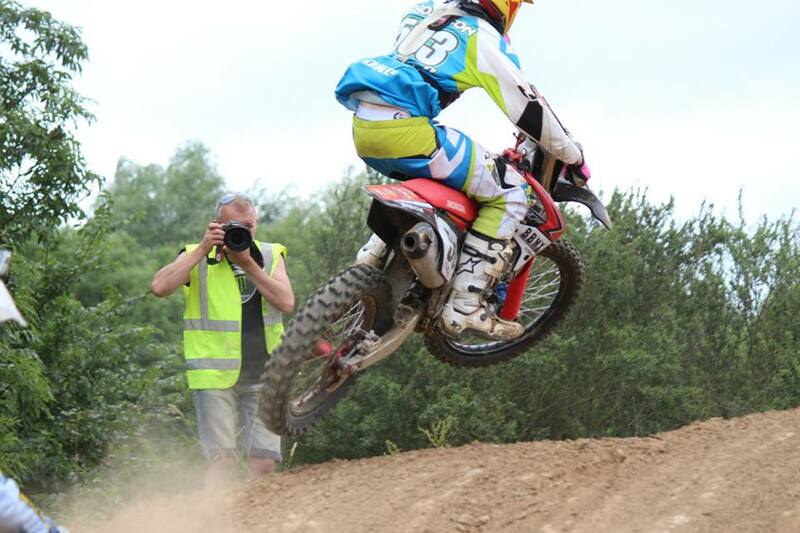 The first round of the Wulfsport British Masters took place at Preston Docks sand track and Jake Thompson took his new Honda CRF 450 to an excellent 7th overall despite a 16th place finish in the first race! A solid start to the season for Jake! 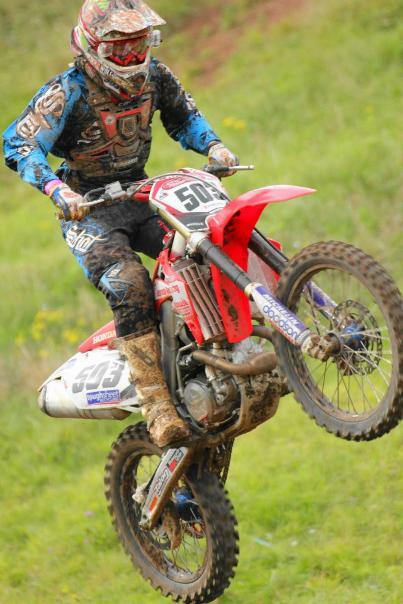 A return to the AMCA championships at Nympsfield for Jake Thompson resulted in a hard fought 28th overall aboard his new CRF 450. In a class stacked with talent Jake showed good speed but poor starts hampered him so he is very much looking forward to the next round. 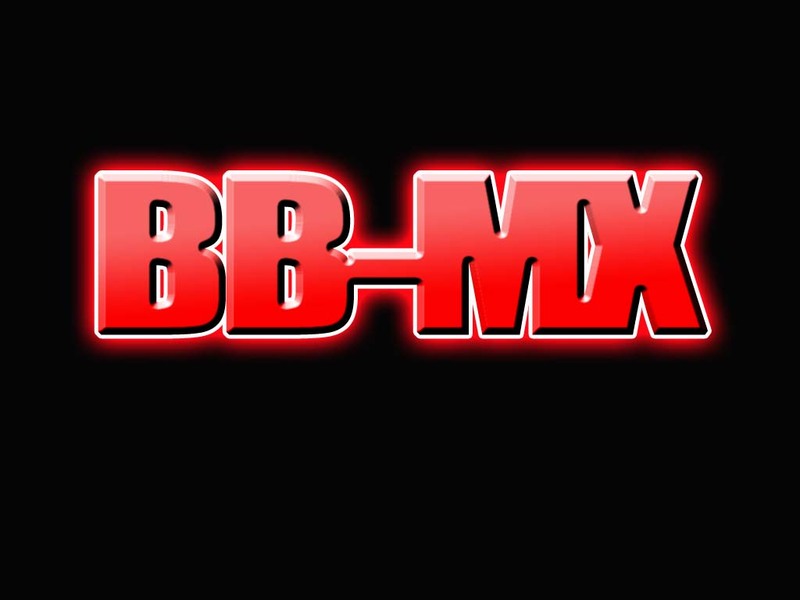 Team BBMX are delighted to be sponsored by Mid Wilts Motocross who provide a professional mobile service to your door step. Check out http://mobilemx.yolasite.com for more information. Owner Stefan Seeger is a big fan of the team and we welcome him on board for 2013. The team is excited to welcome Jake Thompson from Cirencester to the team. 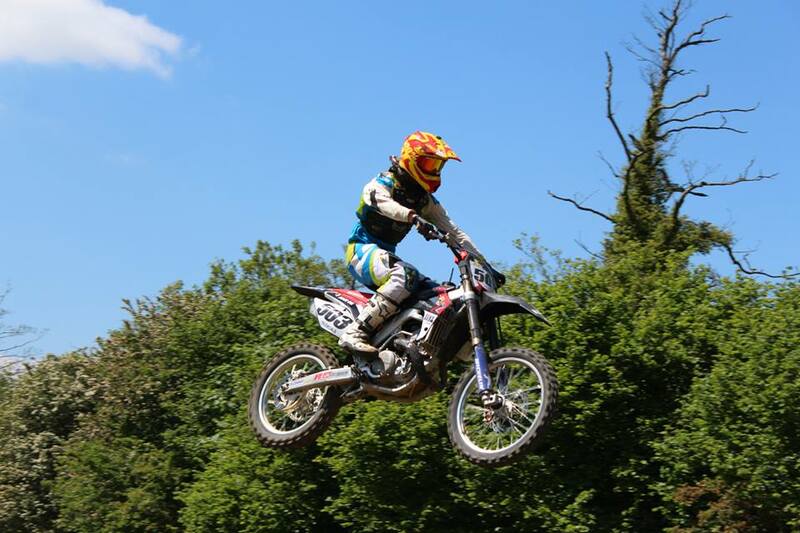 Jake is an extremely talented rider who will be representing the team in the MX1 AMCA championships, Wulfsport British Masters and regional AMCA meetings.He is the AMCA NASG MX1 Champion so the time is delighted with his signing. Welcome to the team Jake! 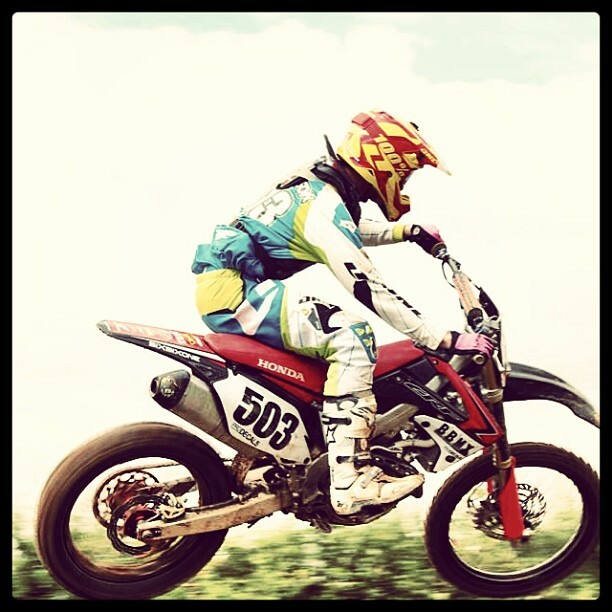 Team BBMX is in early negotiations with a well known Motocross shop for support in 2013. More news to follow on this story later! 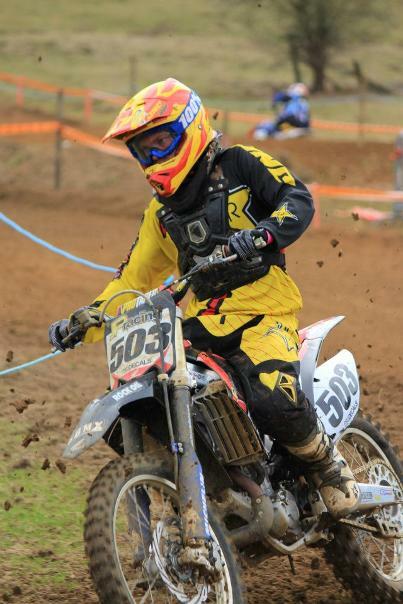 On a deeply rutted Hobbs Hole sand track BBMX rider Baldrey fights to a 2nd overall with 4-2-2 moto scores! 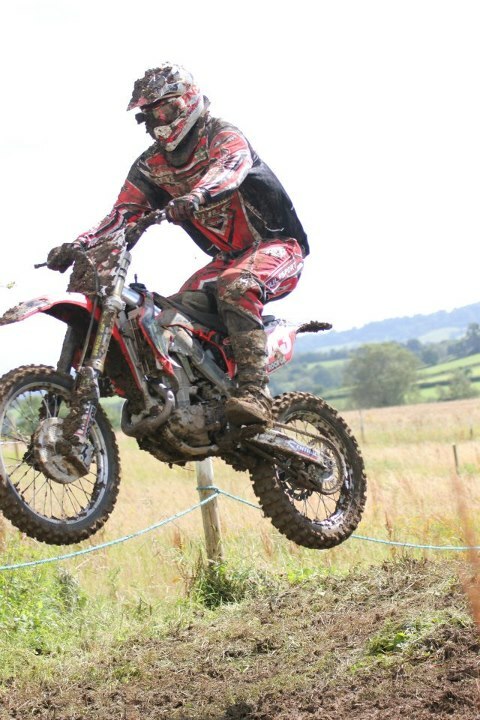 In South Wales at the Clearwell track James got his first overall victory of the year on the fast and rugged track! Poor starts on the slick and technical Ford track near Chippenham left BBMX rider Baldrey with a disappointing 8th overall on the day. He is now 3rd in the championship. On the fast Farleigh track James got a great 3rd overall with a 3-4-5 scorecard in the lead up to next championship round. With torrential rain in Moto 1 followed by bright sunshine and a continuously drying track James went 4-2-3 for second overall at the first round of the NASG championship at Horsley. 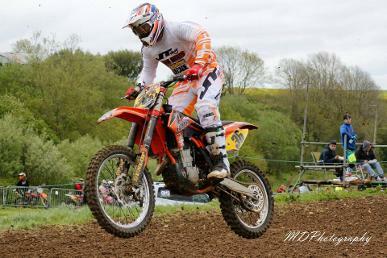 Round 2 is at Grittenham on Sunday 19th. 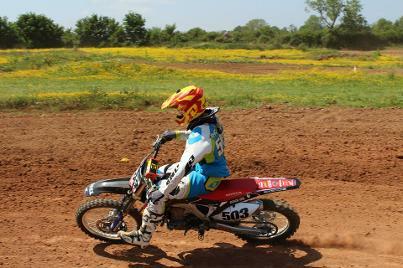 After 5 weeks of not riding due to the weather James went 10-5-6 at the dusty Enmore circuit in Somerset. It was great training for the upcoming NASG championship which starts in a few weeks. Michael Browning wins the MX1 Central Group Championship after a dominant performance at Branston with 2 race wins in the mud! MICHAEL IS THE CHAMPION!!! Team BBMX now has a team GoPro HERO 2 HD Helmet camera and will be posting youtube videos every week. Check them out under the VIDEOS section of the website! After nearly a month off due to the heavy rain the UK has been experiencing the AMCA ran a meeting at Burrington Coombe near Bristol. James Baldrey went 22-8-4 for 9th overall. Pictures are now up in the gallery. Both riders battled hard in constantly changing conditions at the Boraston track in Shropshire on Sunday with James 9th and Michael 10th overall in a highly competitive MX1 class. 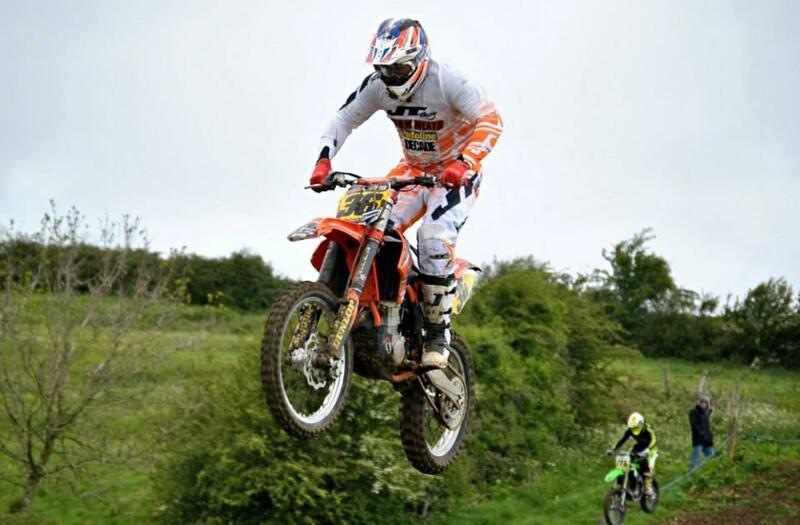 Michael and James went 6th and 8th overall respectively at the rough and technical Branston track on Sunday. In a 36 rider line up the boys rode hard in the pyhsically demanding condtions. 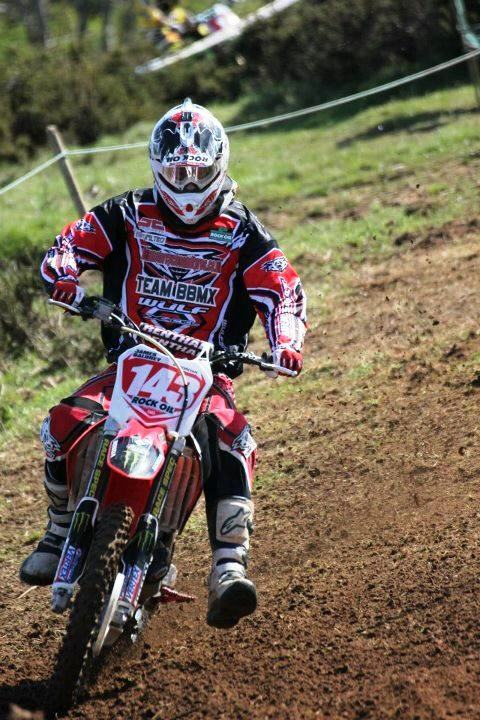 Team BBMX rider Michael Browning rode well for a hard fought 3rd overall at the sandy Hobs Hole AMCA track at the weekend. Pictures and report to follow! The new Wulfsport gear has been printed for the season. Check out the pictures in the "promotion of our sponsors" photo gallery. 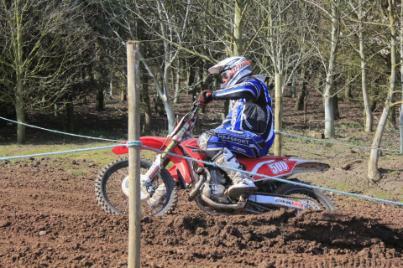 Team BBMX secured a 1-2 finish at Upton Court on Sunday in the MX1 class at the first meeting of the year. 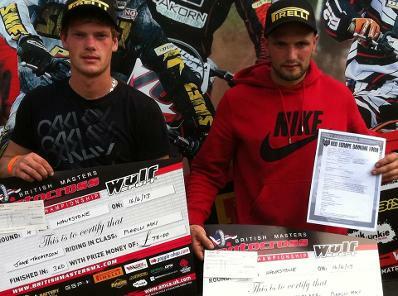 Michael Browning went 1-2-2 for 1st overall and James Baldrey went 4-1-1 for 2nd overall. For race reports see the results section of the site. Photos will be uploaded shortly courtesy of Foto-X.co.uk. The new Wulfsport gear is being printed and should be ready to debut for the first race of the season. See the pictures in the photos section of the site. 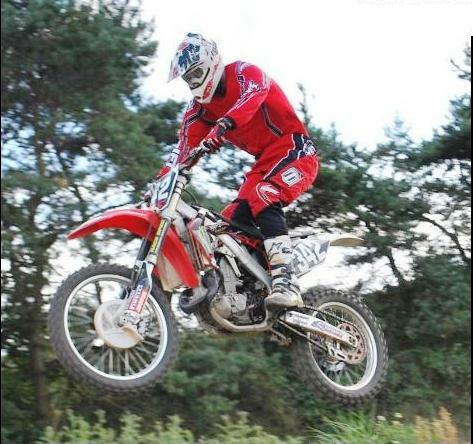 Team BBMX were out in force at Olympica practice track in Solihull today getting ready for the 2012 season. Many thanks to LRSHOTS.com for the photos. 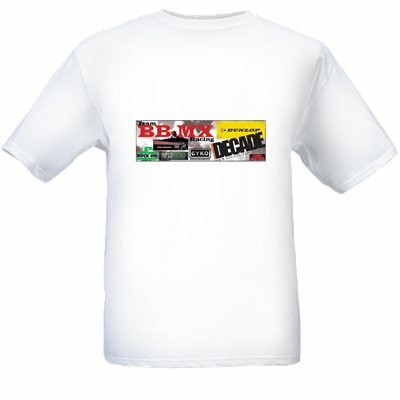 Team BBMX are in negotiations with a new sponsor in Preston, Cirencester to secure sponsorship for the 2012 season. Details to follow soon! 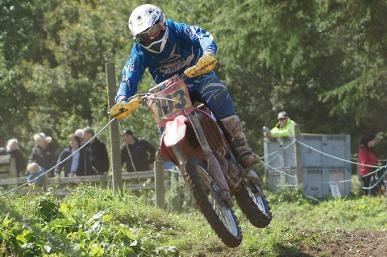 The BBMX team will be riding their final 2011 AMCA club round at Polesworth on Sunday the 23rd October. Good Luck to all the riders!